Capture the night with the Samsung Galaxy J7 Pro. This phone is meant to take great photos even at night. It’s packed with 13MP cameras on the front and the back. Both shooters also come with an LED flash to make sure you capture the night. Powered with a 1.6 GHz octa core processor matched with 3GB RAM, it can also do more than just photos. 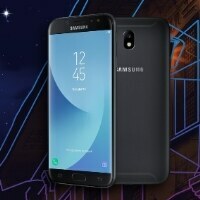 The Samsung Galaxy J7 Pro is made even better with the Android 7.0 OS.